Apartments in central position, comfortable furnishings, sauna, garden with barbecue facilities as well as proximity to countless outdoor activities. 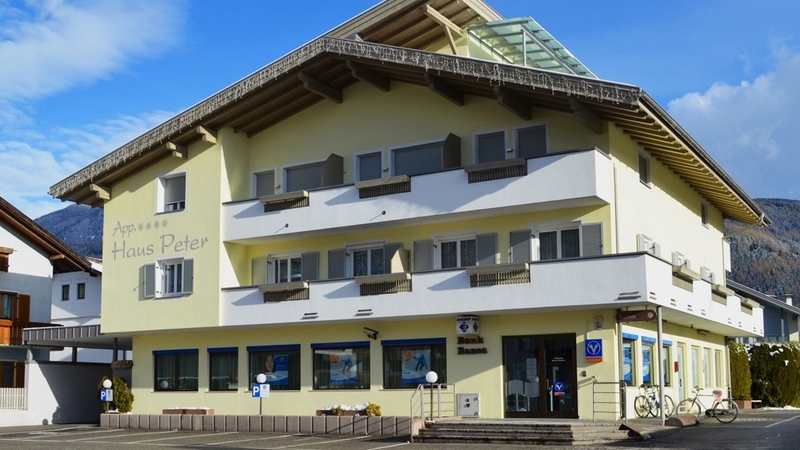 Welcome to the apartments Haus Peter in St. Georgen near Bruneck! The apartments at Haus Peter are located in the village centre of St. Georgen, surrounded by one of the most beautiful mountain landscapes in the Alps and in the environs of the vivid centre of Bruneck. Be it summer or winter, a visit in Pustertal is a real adventure not only for the hearty hospitality. Our apartments are you ideal holiday home, allowing you to plan your vacation according to your personal wishes. 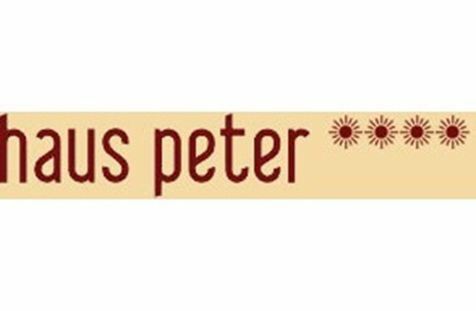 The five apartments at Haus Peter are light-flooded, ideal for 2-5 persons and offer any comfort for a pleasant stay. Available are a bathroom with shower/WC, a fully equipped kitchen as well as a balcony. Bed linen is available. Moreover, our guests can use our sauna as well as the garden with barbecue facilities. Pets are welcome and a car parking is offered, too. 2 to 3 people, studio apartment, kitchenette, living/sleeping room, bathroom with shower/WC Our guesthouse is situated in the centre of the village St. Georgen/San Giorgio, just a few steps from grocer’s shops, bakery, tobacco shop, newsagent’s, restaurants and bars. Our 5 bright and light-flooded apartments provide you with any comfort, you may wish. 4 to 5 people, kitchen, 1 double room, 1 triple room, living/ sleeping room, bathroom with shower/WC Our guesthouse is situated in the centre of the village St. Georgen/San Giorgio, just a few steps from grocer’s shops, bakery, tobacco shop, newsagent’s, restaurants and bars. Our 5 bright and light-flooded apartments provide you with any comfort, you may wish.